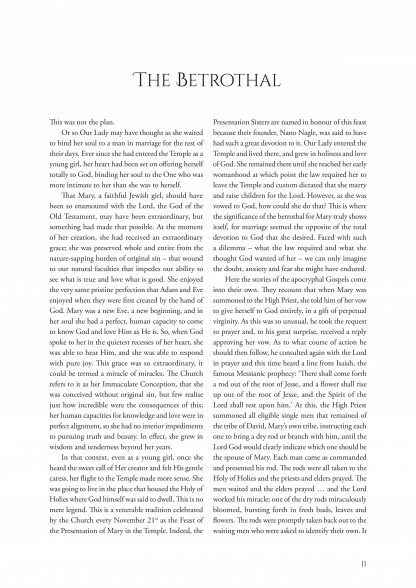 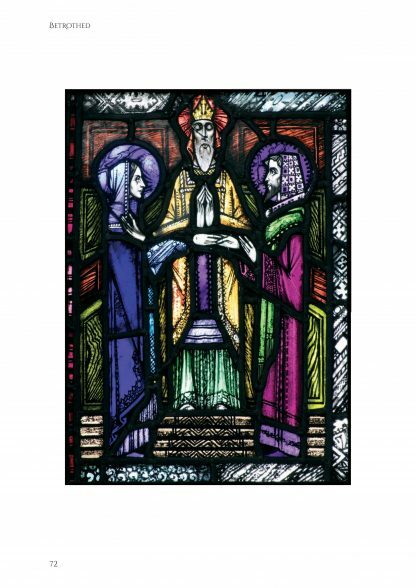 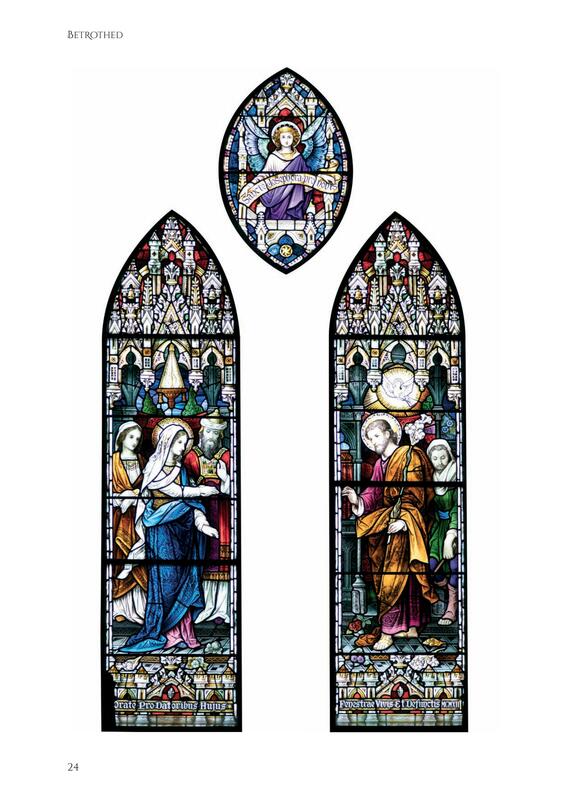 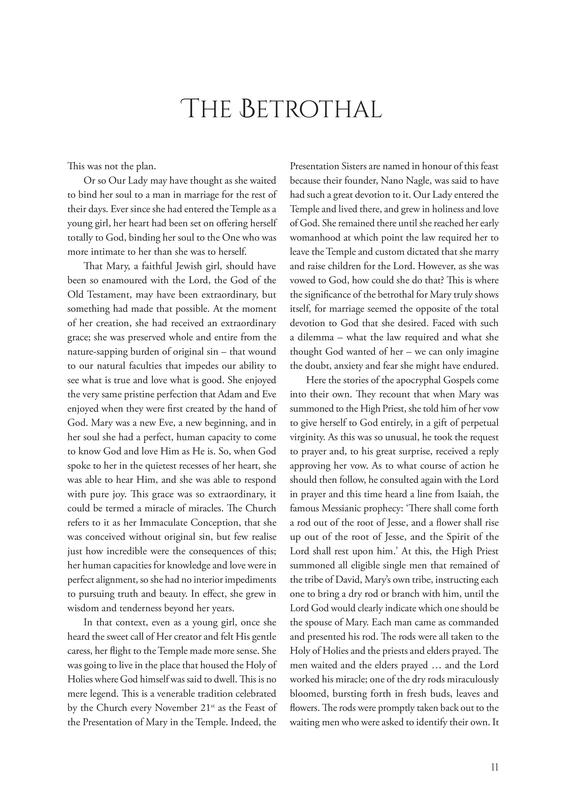 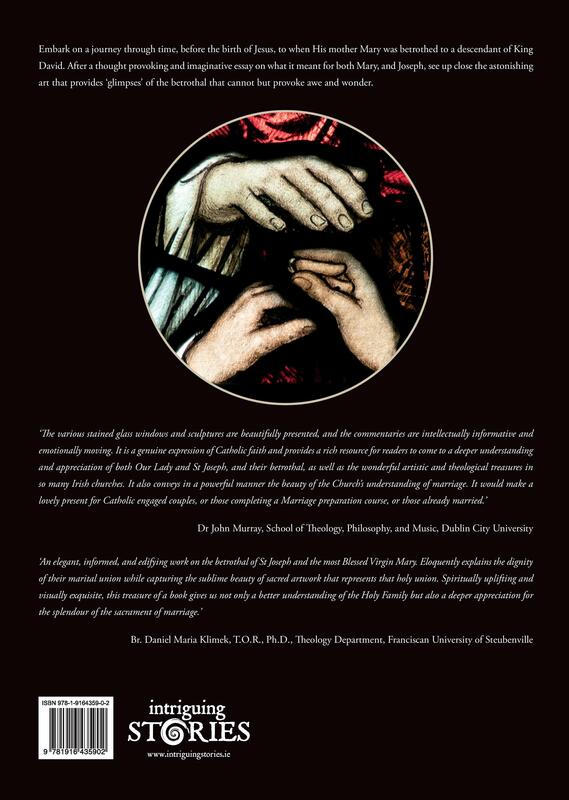 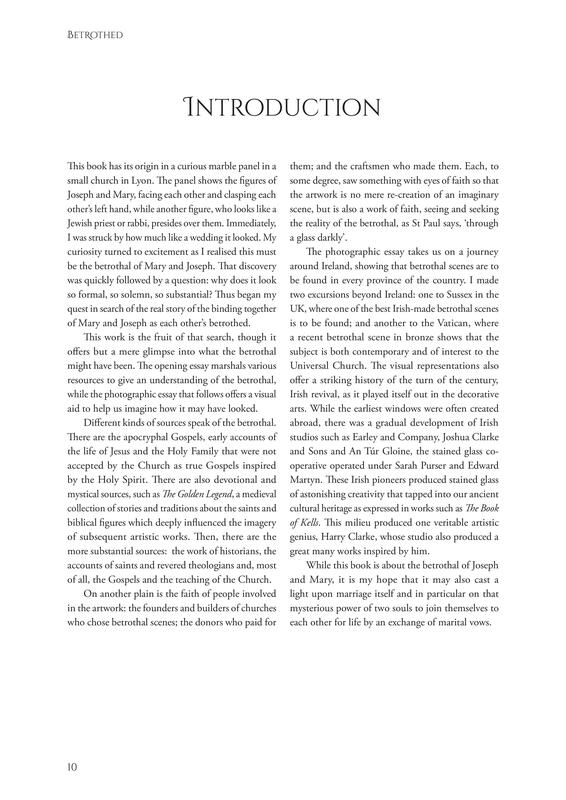 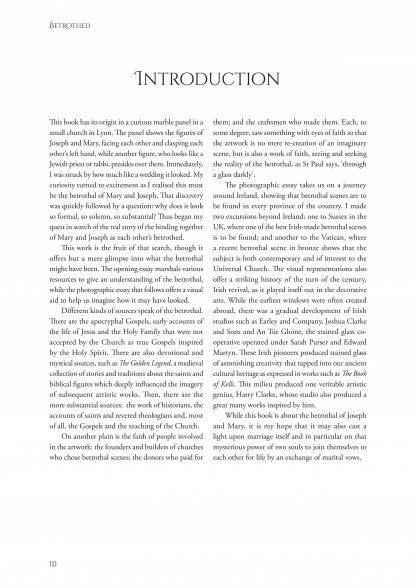 An enthralling and visually stunning book on the betrothal (marriage) of Mary and Joseph, it showcases numerous beautiful depictions, in stained glass and other media, of the moment Our Lady and St Joseph exchanged their vows of marriage. 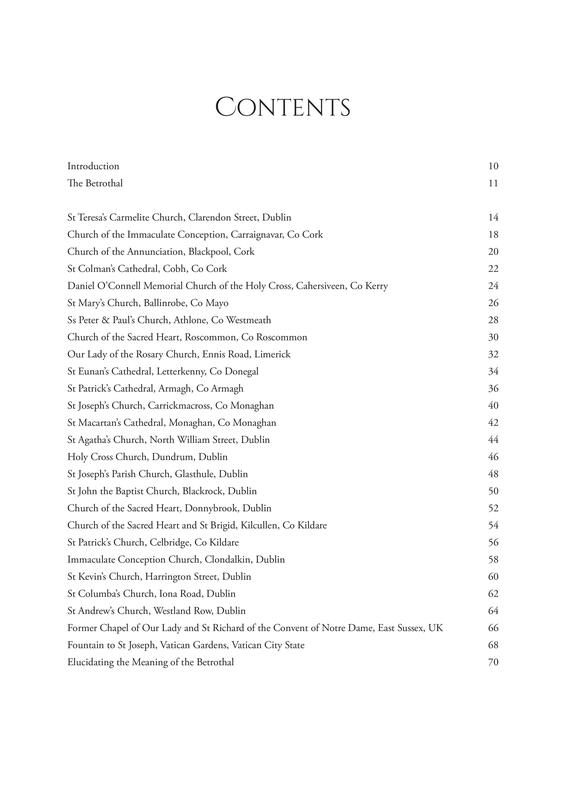 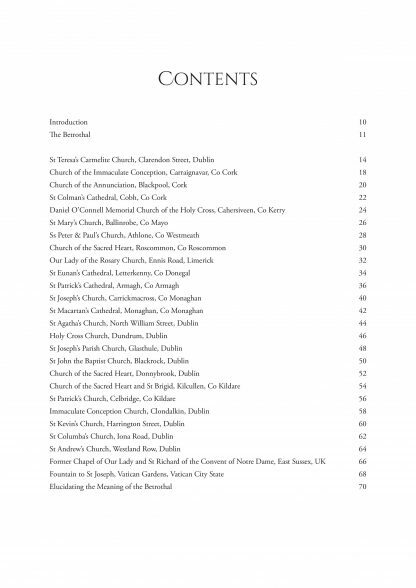 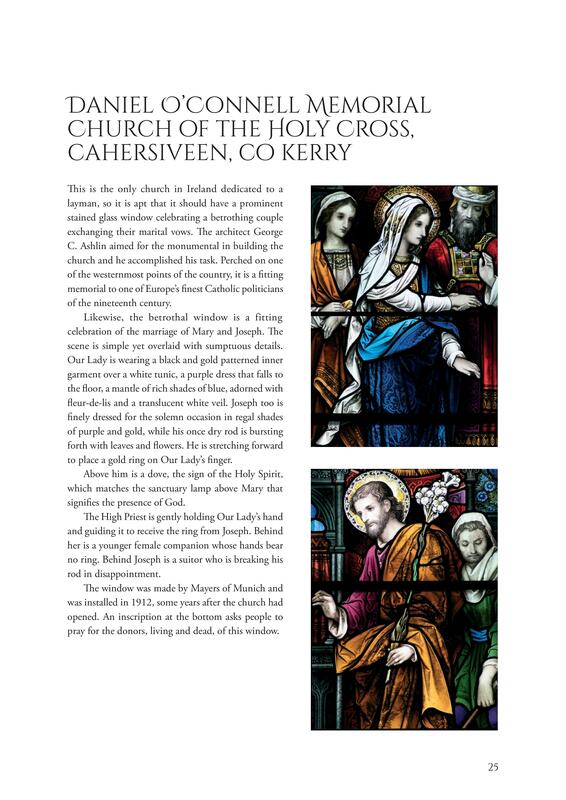 The images are taken from 24 churches all over Ireland including twelve in the Archdiocese of Dublin alone. 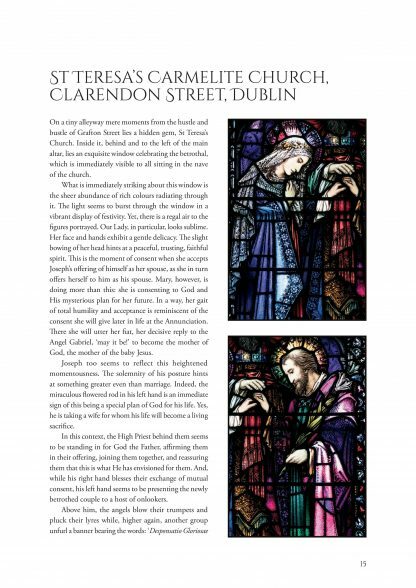 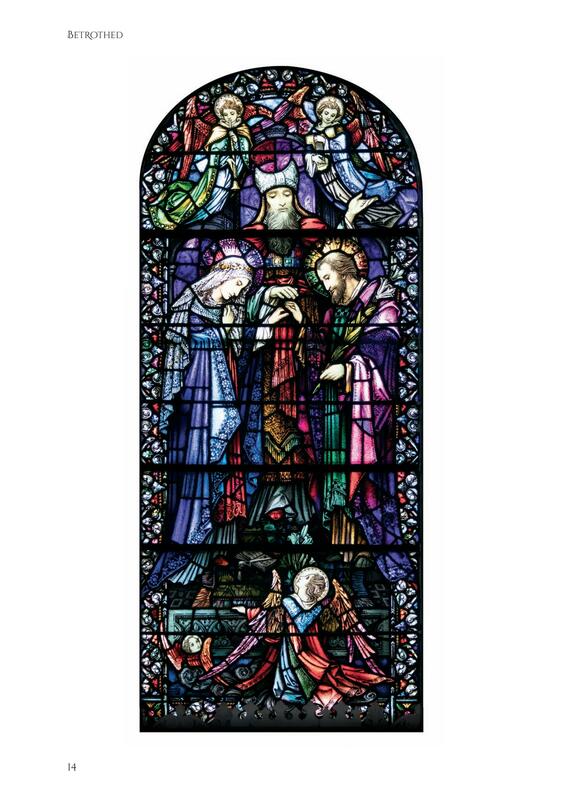 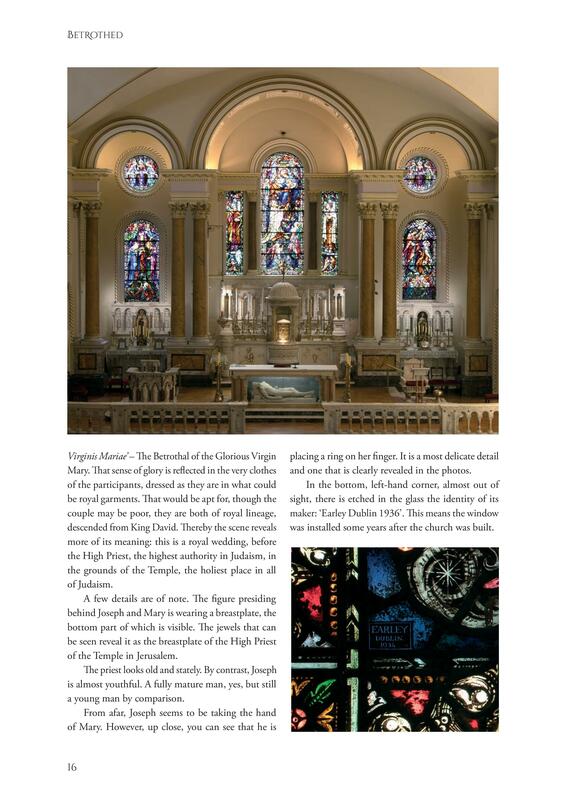 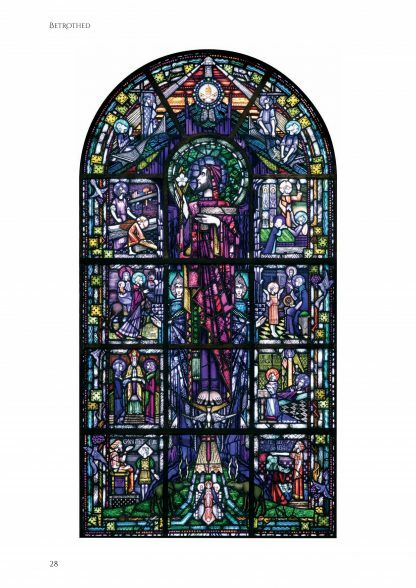 The photographic essay features the work of some of Ireland’s finest artists and craftsmen including Harry Clarke, Richard King and Earley Studios, as well the work of one of continental Europe’s most renowned stained glass makers, Mayers of Munich. Striving to portray the exquisite and subtle beauty of the blessed Mother of God, these pioneers advanced their craft to such a height of excellence that their works became masterpieces of visual art in their own right. This artwork is featured in the beautiful photography that adorns the book from cover to cover. 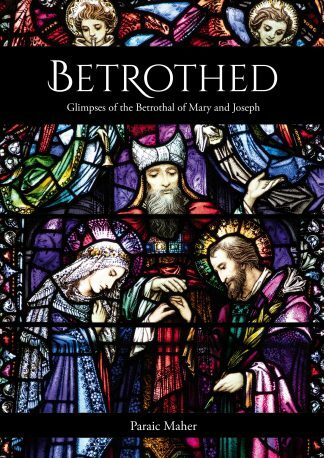 The book also details the significance of the betrothal and relates the dramatic story, from Church traditions, that led to Our Lady and St Joseph’s blessed union.